Win a free book for a first communicant or other child! CatholicFamilyGifts.com offered me a free first-Communion gift to review and give away to one of my readers. 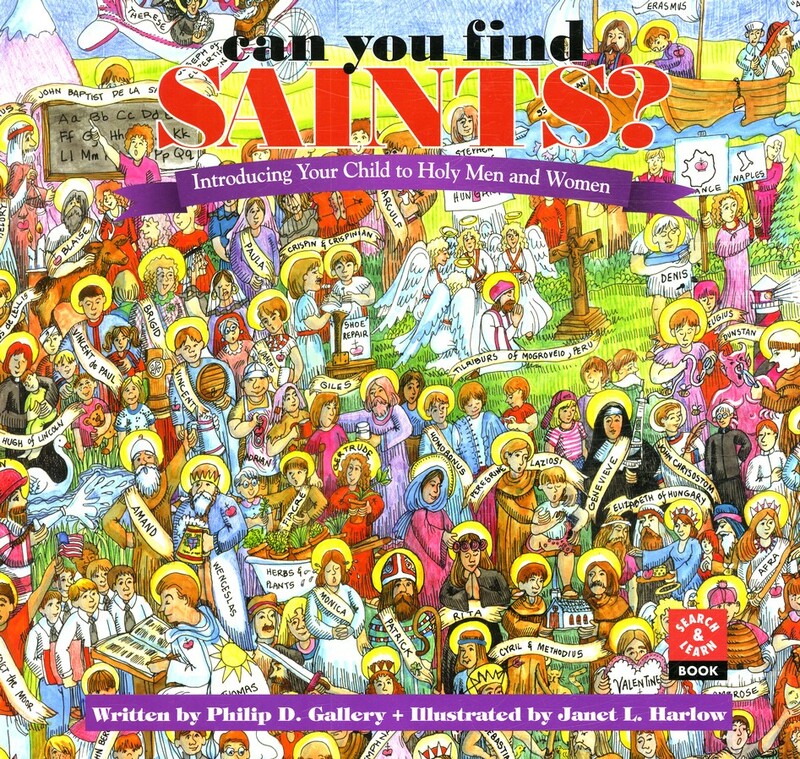 Since my boys are currently interested in hidden picture books, I chose Can You Find Saints? : Introducing Your Child to Holy Men and Women. After the review, I will tell you how can enter to win this book. Can You Find Saints? is one in a series of four books by Philip D. Gallery. The series also includes Can You Find Jesus?, Can You Find the Followers of Jesus?, and Can You Find Bible Heroes? Janet L. Harlow illustrated all four books. They combine hide-and-seek fun with learning about the faith. Finish reading the review and enter the contest.